Raynald Colom is one of the most respected trumpeters in the Spanish and international Jazz Community. He has been heard alongside musicians such as David Sanchez, Greg Osby, Mulgrew Miller, Eric Reed, Jesse Davis, Eric McPherson, Omer Avital, Dafnis Prieto, Carles Benavent, Horacio Fumero, Manu Chao, Fermín Muguruza, Luis Salinas and Perico Sambeat, among many others. Raynald was born in Vincennes (France) in 1978. 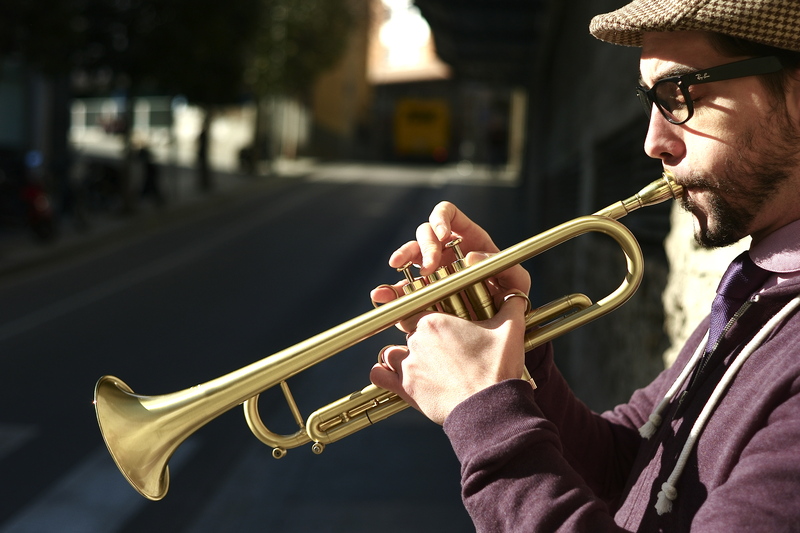 He started learning music at the Créteil Music Conservatory when he was four years old: he studied violin until age eight, when his parents gave him a trumpet. In 1988 his family moved to Barcelona (Spain), where he continued his musical studies, and got some private tuition by Wynton Marsalis, Roy Hargrove and Kenny Barron. In 1999, after finishing studies at the Terrassa Municipal Conservatory and the Bellaterra Music School, he obtained a scholarship for the Berklee Music College in Boston, where he learned from teachers such as Bill Pierce and Darren Barrett, among others. In 2000 he returned to Barcelona, where he started freelancing with musicians like Albert Bover, Randy Becker, Jesse Davis, Robin Eubanks, Horacio Fumero, Chris Higgins, Guillermo McGill, Michael Philip Mossman, Perico Sambeat, Antonio Serrano, or Louis Stewart. He also traveled trough the US and Latin America as part of Manu Chao’s “Clandestino” tour. In 2001, he joined the European Youth Orchestra. With them, he played some of the top European festivals, like North Sea or Copenhagen, appeared at the famed Ronnie Scott’s Club in London, and performed in Ireland and Germany. 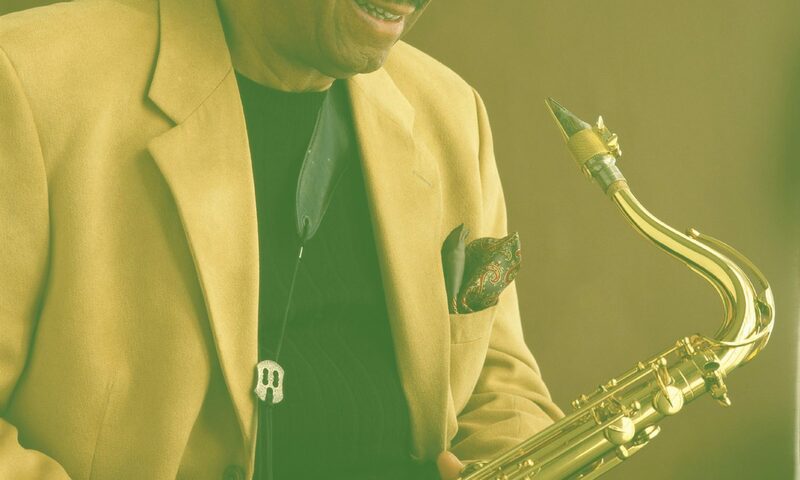 He then joined Perico Sambeat’s Sextet, touring Spain, Uruguay and Argentina in 2002 and 2003. In 2005 he performed at the Mas i Mas Music Festival in Barcelona with Mulgrew Miller and José Reinoso. The Spanish label Fresh Sound New Talent released Raynald’s first CD as a leader, “My 51 Minutes”, in 2005. The album was extremely well received by the press, and got great reviews and accolades. In 2006, while still enjoying the success of his first record, the famous Flamenco singer Duquende invited Raynald as a guest for the recording of his album “Mi Forma De Vivir”. 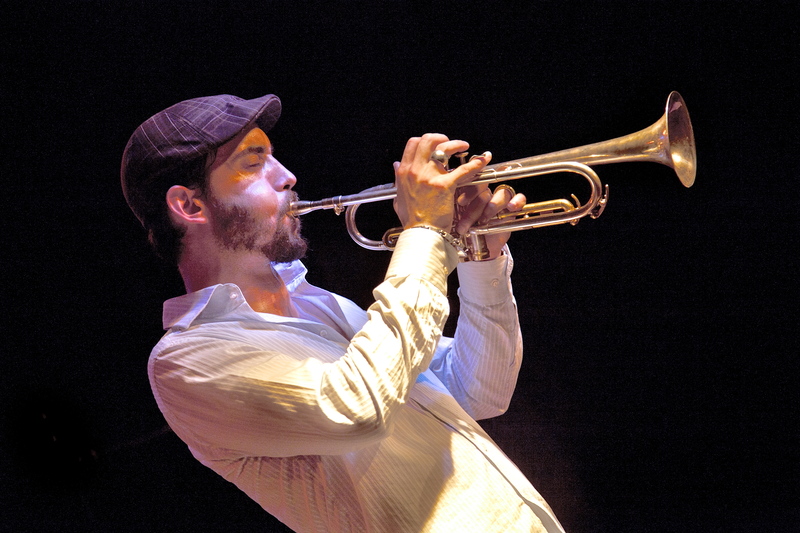 This was the starting point of Raynald’s love affair with Flamenco music: in only a couple of years he became the premier trumpet player amongst the Flamenco elite, working as a soloist with bands such as those of Chicuelo, Duquende, and harmonica player Antonio Serrano (“Armonitango” – Sony/BMG). Raynald is presently (2008) working with Rosario la Tremendita on her new release “Pinceladas”. In 2007 Raynald was nominated as a young promise on the EuroDjango Awards. Early in the same year he had traveled to Timbuktu to participate in the Festival au Désert, along with Armand Sabal-Lecco. He also appeared in the movie “Tuya Siempre” directed by Manuel Lombardero. After frequent stays in New York, Raynald returned to Barcelona in May 2008 to finish his new CD “Sketches of Groove”, released on November 25, 2008, during the 40th Barcelona Jazz Festival. In 2009 Raynald presented his most ambitious project “Evocacion” which featured a diversity of musicians; the Flamenco guitarist Chicuelo, the Cuban pianist Aruan Ortiz, the Israeli bass player Omer Avital and the American drummer Eric McPherson. This project allowed him to bring together flamenco and contemporary jazz from his own distinctive point of view. In 2012 Raynald signed with the prestigious label JazzVillage/Harmonia Mundi, releasing his album “Rise”, with heavy praises by the press and public. 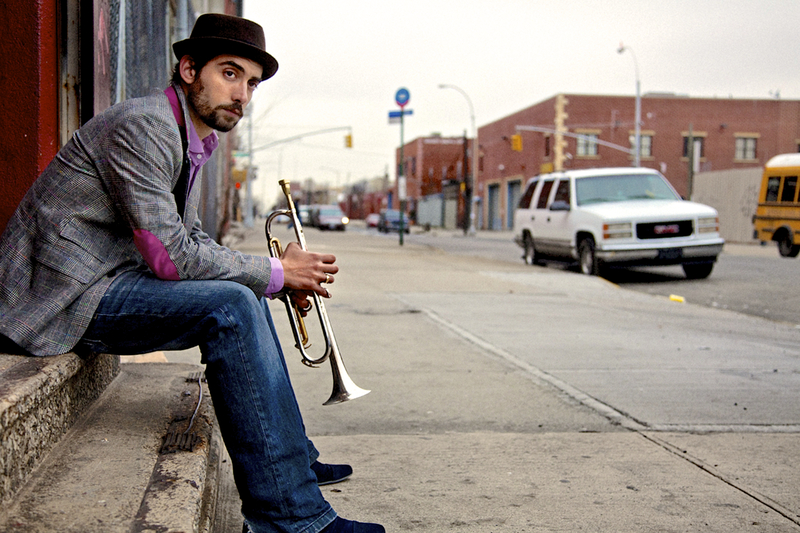 The Catalan Jazz and Modern Music Association awarded him as Best Trumpet Player in 2001, 2002, 2004 and 2005. He won the Enderrock Awards “Jazz Record of the Year” in 2005 for “My 51 minutes”, was awarded Best Spanish Jazz Album of 2009 for “Evocacion” by the renowned Spanish Cuadernos de Jazz magazine, and received the prestigious Puig-Porret Award in 2010.